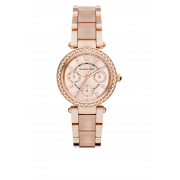 Add a sparkling dimension to your look with this fabulous Mini Parker Blush Watch from Michael Kors. 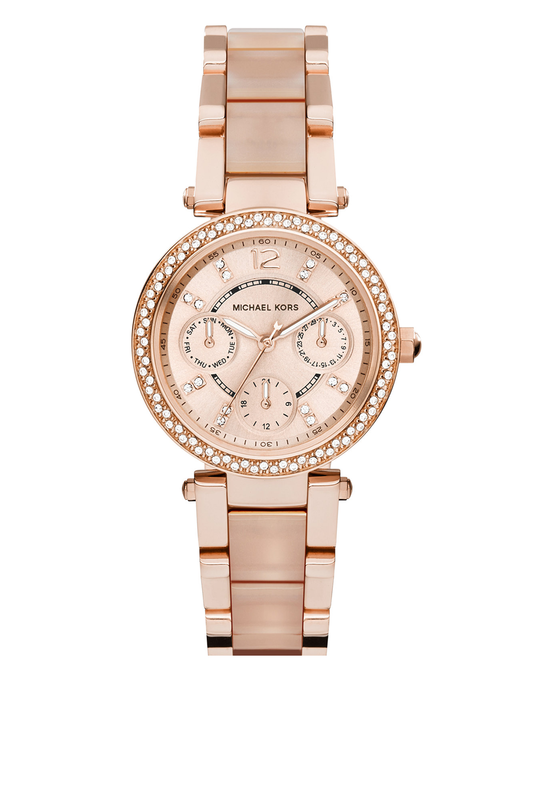 This watch features a rose gold plated stainless steel case and a unique bracelet with blush acetate links in the centre. The face of this watch is round embellished with small crystals around the edge, rose gold dial, and quartz movement and water resistant up to ATM.